> and I came up with, intended to replace both srcset and <picture>. > to explain, and also preemptively answer some questions. > size based resolution switching, and art direction. > downloading a larger image file! > you have to repeat every image url 4+ times, which simply isn't practical. > 360, and that's what I'm using to calculate the x values, e.g. > still have been stuck giving 7+ points along the line. > to repeat each image! > by the mechanism above). 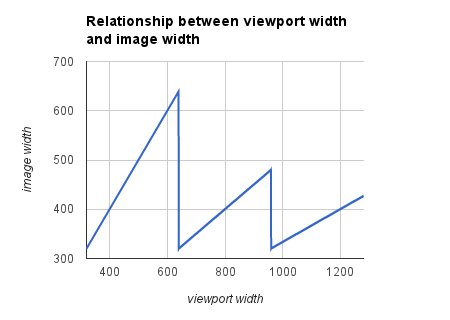 > max-width in px set on an image whose width is set in %. > Q) Does this fully obsolete srcset and <picture>? > A) Yes, this completely replaces all functionality of both of those. > just like src acts as a fallback). > Q) Why src1, src2, etc instead of child source elements like <picture> has? > their mind about that. 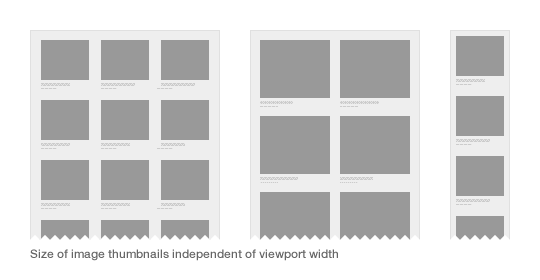 > Q) What about CSS images? > <size-based-urls>" syntax, then CSS and HTML will be consistent. > 640)" instead of just src1="100%; s.jpg 320, m.jpg 640"). > server-side (or intercept them with a Service Worker)? > (which may depend on whether the user is roaming, etc). > the meantime this markup solution seems to best fit all the main use cases. > Thanks for reading this far! Next message: Tab Atkins Jr.: "Re: Reasoning behind srcN replacing srcset and <picture>"
Previous message: John Mellor: "Reasoning behind srcN replacing srcset and <picture>"
Next in thread: Tab Atkins Jr.: "Re: Reasoning behind srcN replacing srcset and <picture>"